Two long weeks of winter exams have just finished up at University of Limerick (UL), with over 13,000 students heading home for the holiday period after a semester of hard work and study. To mark this special time of year, UL has released this festive, feel-good video telling a homecoming story to which all students can relate. The video was shot and edited by two of UL’s Digital Media Design students, Patrick Hayes and Darragh Lynch, who are in 2nd and 4th year respectively, and stars 4th year Journalism and New Media student Rebecca Laffan. “As the big brands like John Lewis start releasing their Christmas videos in mid-November trying to get people in the festive mood, our students are really knuckling down studying for their winter exams. We wanted to be able to give a view into student life how we see it every day, the hard work and dedication of our students is evident all over campus, especially at this time of year. So we thought, who better to tell this story than UL students themselves” said Sheena Doyle, Communications Manager at UL. Patrick Hayes said, “Having seen some of the videos produced by professional agencies for UL, I was nervous when we were given so much creative control over the video. The video itself is cool – it’s pretty unique. I mean, I don’t think any other university has done a Christmas video like it, or worked with students the way UL did. The video was planned, shot and edited by the students in recent weeks, with five solid days of filming taking place during study and exam weeks. “This is the line of work I want to be in, and opportunities to build my portfolio like this one just don’t come along ever so it was as important that I did a good job on this as studying for exams itself,” says Darragh. The scenes featured in the video, filmed on-campus in UL, and in both Rebecca’s student house and family home, are accompanied by the vocals of UL students Padraic Di Fusco and Renée Yoxon, which were recorded in the Irish World Academy. More than thirty-five thousand individual exam sittings took place on campus during the annual high-stress period, with students returning to campus for a new semester of study on January 20. “I think everyone can relate to feeling stressed on the run up to Christmas, especially students. There’s tiny details that will jog the memory of past-UL students too, which is lovely. 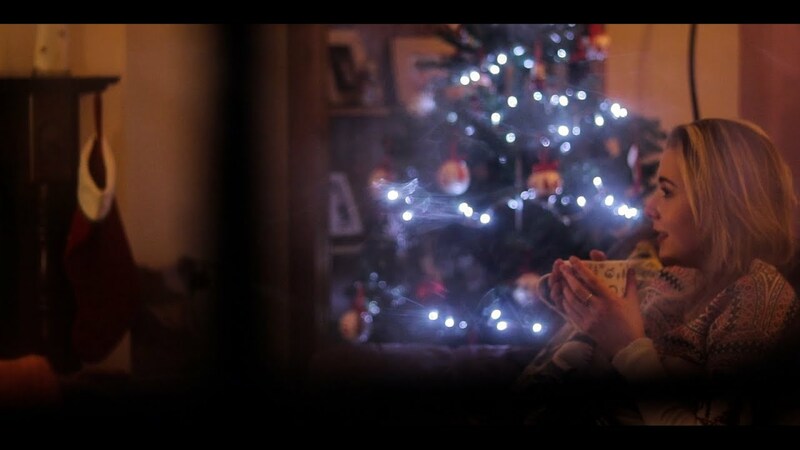 Whether it’s across the world or up the road, coming home for Christmas is never anything but special,” says Rebecca. “Christmas is going to be great, my sisters are back from abroad so everyone round the house is in flying form. So unless Spielberg himself wants me to be his right-hand man after this video gets out I won’t be stressing over Christmas,” says Patrick.